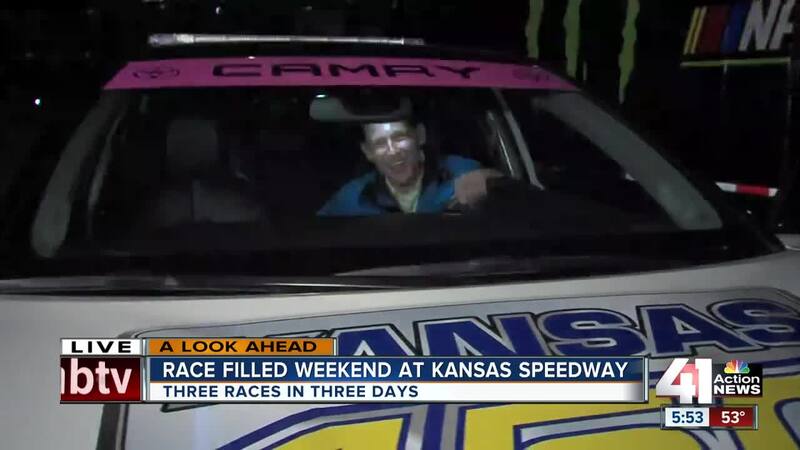 Three days of racing at the Kansas Speedway kick off Friday night. The big race of the weekend is The Hollywood Casino 400 on Sunday. It is one of the playoff races in NASCAR’s Monster Energy Cup Series. Friday’s race is the ARCA circuit season finale. It begins at 7:30 p.m. Saturday. 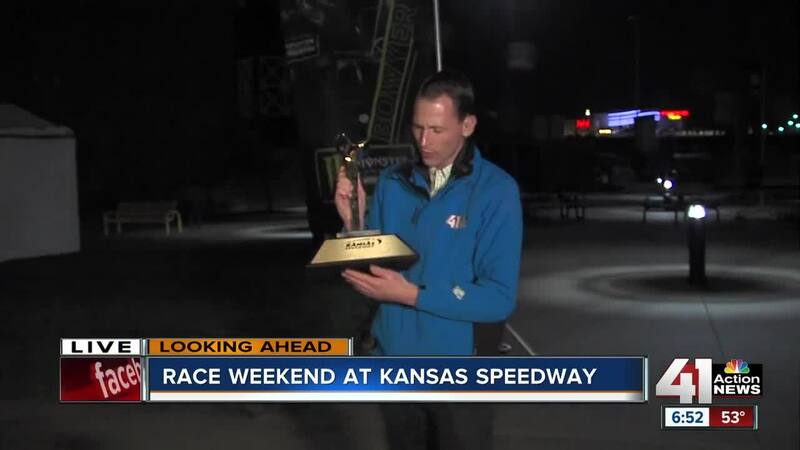 NASCAR’s XFINITY Series race is at 1:55 p.m. Sunday’s race begins at 1 p.m.
KANSAS CITY, Kan. — Three days of racing at the Kansas Speedway kick off Friday night. The big race of the weekend is The Hollywood Casino 400 on Sunday. It is one of the playoff races in NASCAR’s Monster Energy Cup Series. After Sunday’s race, the number of drivers competing for the cup title will go from 12 to eight. Kansas native and driver Clint Bowyer is still in the hunt. Friday’s race is the ARCA circuit season finale. It begins at 7:30 p.m. Saturday. NASCAR’s XFINITY Series race is at 1:55 p.m. Sunday’s race begins at 1 p.m.
Tickets are still available to all events . Due to popular demand, the Kansas Speedway added more camping space for fans, including an area for tents instead of strictly RVs. The site now has 2,230 camping spots. Royals outfielder Alex Gordon will be the honorary pace car driver Sunday during the Hollywood Casino 400. Walking Dead actor Tom Payne will be the race's honorary starter. Sunday's race will air on your 41 Action News station.